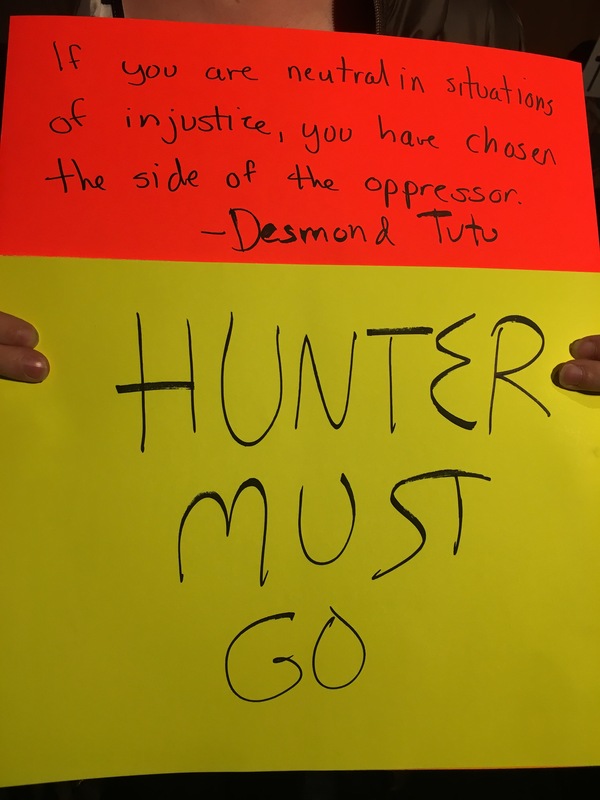 Meeting attendees display signs calling for resignation of Commissioner Tommy Hunter. 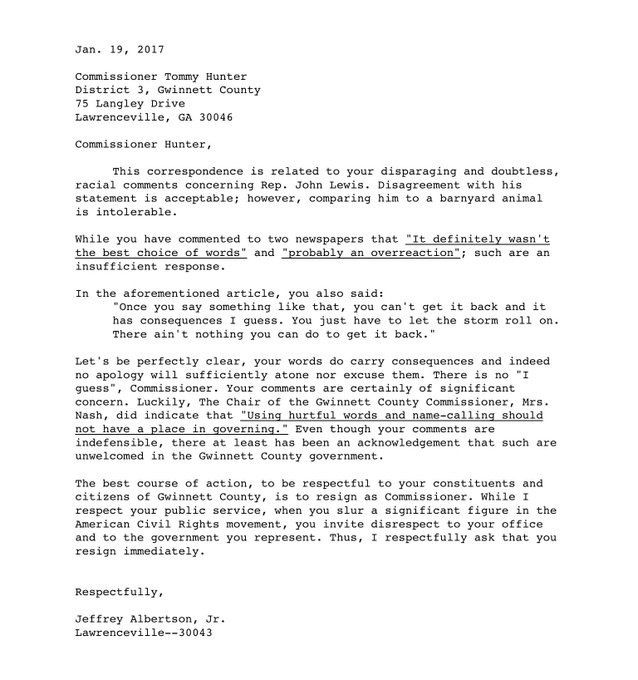 Tonight was the second Gwinnett County Commission meeting since Commissioner Tommy Hunter’s (R-D3) “racist pig” comments in response to Georgia Rep. John Lewis’ (D-GA) remark that that he believed Russia’s alleged hacking aimed at helping Trump in the 2016 race makes Trump an illegitimate president. At the conclusion of presentations on zoning matters, Chairwoman Charlotte Nash (R) opened the meeting for public comment. 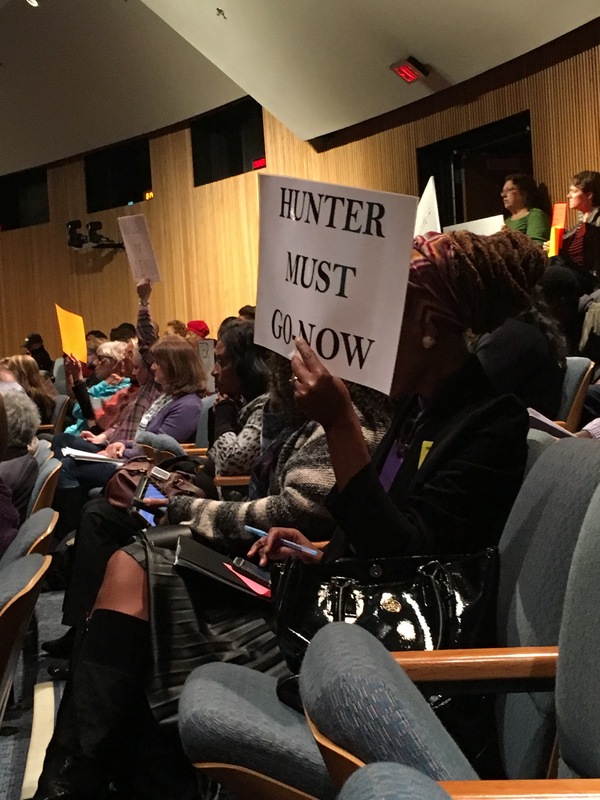 In over two hours of speeches, Gwinnett County residents, County Democratic Officials, and even a former Tax Commissioner from Rockdale County voiced concerns of Commissioner Hunter’s inability to lead and represent the County’s diverse population. 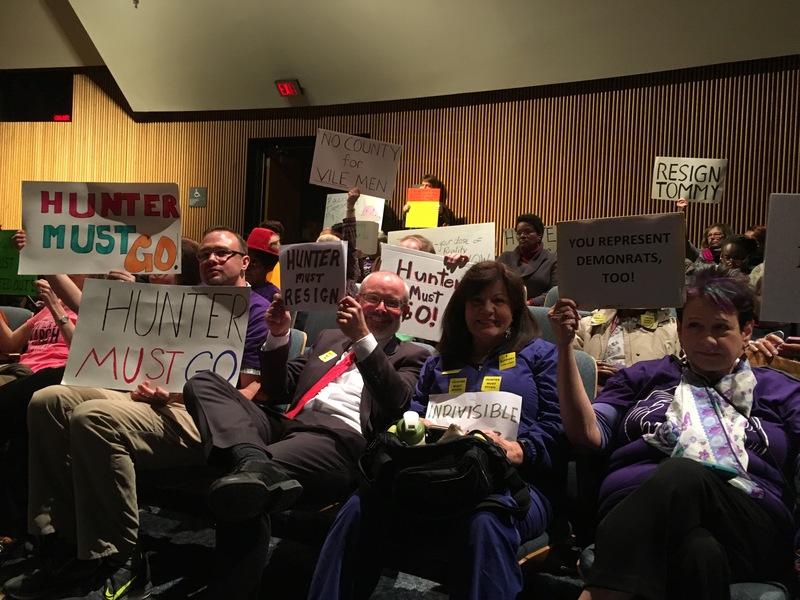 Another speaker, donning a “United Together” t-shirt, pledged to protest until Hunter’s “resignation.” At least four other speakers echoed the same message: You will see us at every meeting until “you go.” Another remarked that the County Commission was “tainted with racism” and challenged other members to “stand up” against Hunter’s comments. During the comment, Commissioner Hunter did not respond and several speakers asked him to face them while speaking. 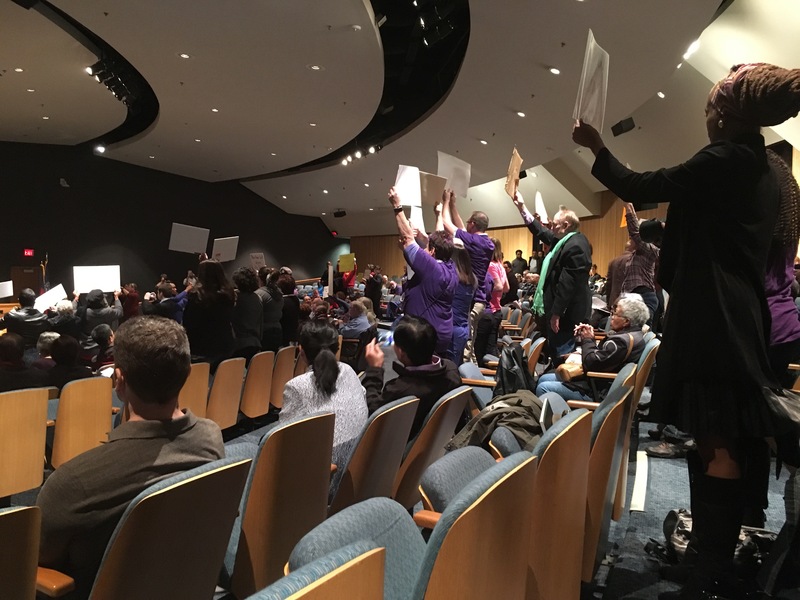 What remains to be seen is how the Gwinnett County Republican Party will respond. 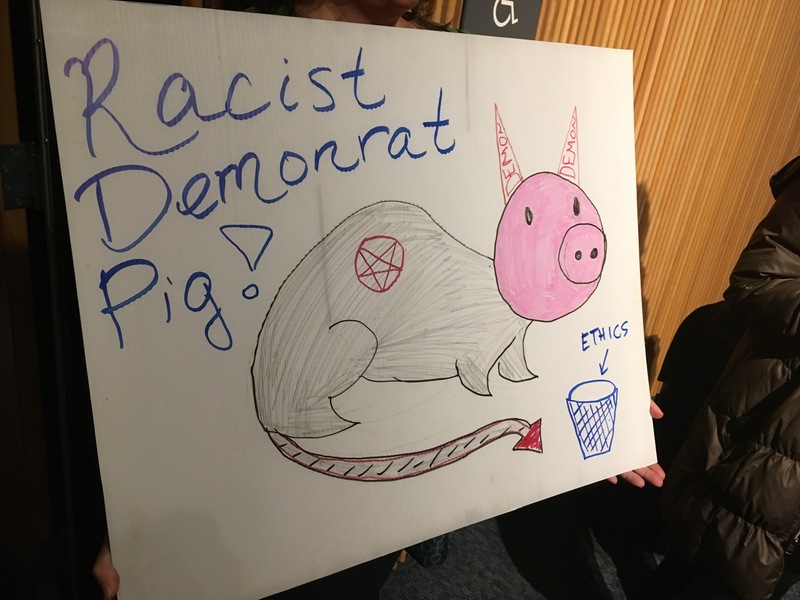 I’ve included more photos from tonight’s meeting below.